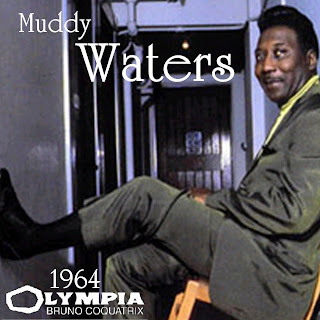 This is the Father of Chicago blues Muddy Waters live in concert at L'Olympia Bruno Coquatrix, Paris, France back in 1964. Muddy's sound was basically Delta blues electrified, but his use of microtones, in both his vocals and slide playing, made it extremely difficult to duplicate and follow correctly. "When I plays onstage with my band, I have to get in there with my guitar and try to bring the sound down to me," he said in Rolling Stone. "But no sooner than I quit playing, it goes back to another, different sound. My blues look so simple, so easy to do, but it's not. They say my blues is the hardest blues in the world to play." Genre: Electric blues, Chicago blues, Rhythm and blues, blues-rock.